The Cape Town Comedy Club welcomes Mel Jones as the headline act for the week of 3 to 7 April 2019, along with MC Martin Davis from the UK and Keenan Cerff as the support act. Note also that Midweek Madness is also happening the same week Wednesday and Thursday with tickets to the club going for R50. 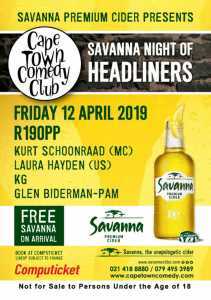 Other upcoming CTCC events to diarise are the Savanna Night of Headliners, which returns on Friday 12 April and The Goliath Takeover from 29 May to 2 June. _club_12_apr/1279580940 The Cape Town Comedy Club is the only dedicated comedy venue in the Western Cape. 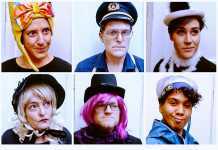 It is a dinner theatre experience with a restaurant and bar. Show Times: Starts 8.30pm. Dinner from 6pm. Happy hour is from 6 to 7pm. 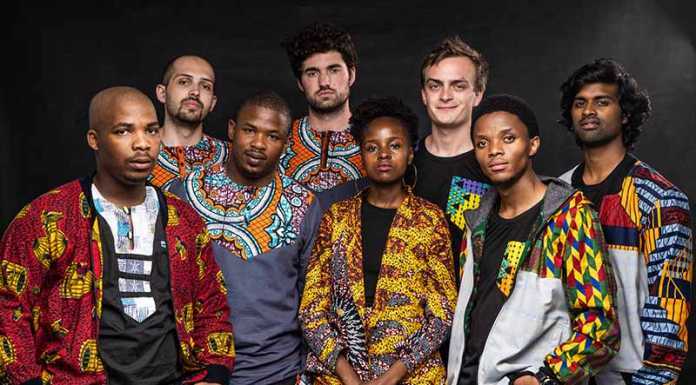 This May and June Cape Town Comedy Club is taking things to a whole new level with the Goliath Takeover from Wednesday 29 May to Sunday 2 June 2019. 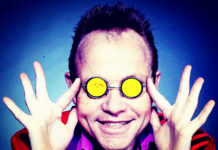 It features versatile comedy trio – Jason, Donovan and Nicholas Goliath of Goliath and Goliath. Although Jason, Nicholas and Donovan are young in the game, they have become a force within the comedy industry, which has made Goliath and Goliath one of the most recognisable comedic brands in the country. 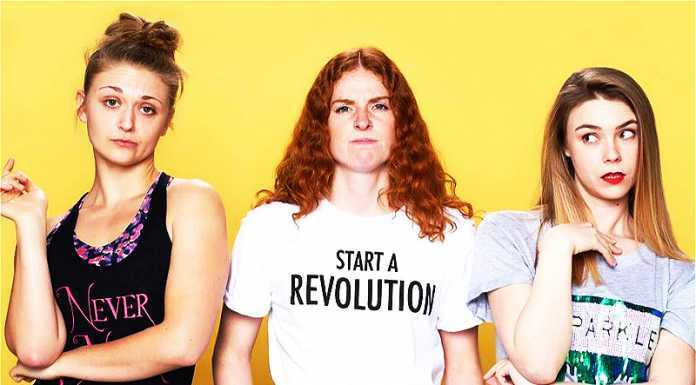 The trio’s true strength lies within the collective – three successful comedians with a national fan base who have an unconditional love and respect for their industry. 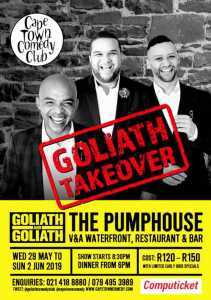 Goliath Takeover tickets: R120 – R150 Shoprite Checkers stores and https://online. Limited early bird specials available. Strictly no under 18’s. Goliath Takeover times: Starts 8.30pm. Dinner from 6pm. More Cape Town stage shows.